Very unique, easy to assemble- love them and have never seen anything like them! 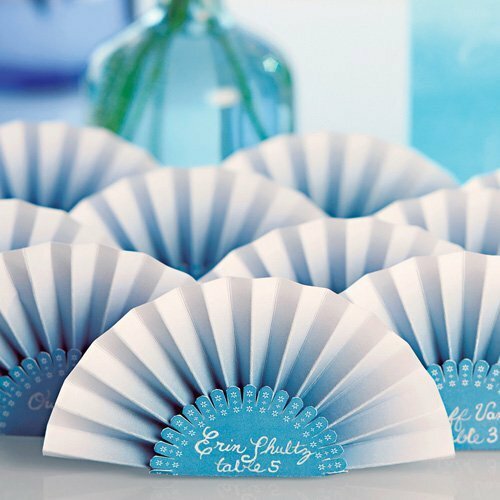 Prettify your wedding reception with these cute ombre place card fans. 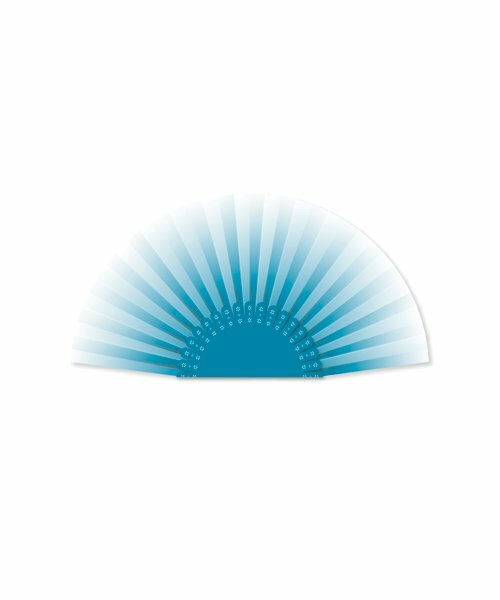 Each fan-shaped place card is made from high quality cardstock and features your choice of color applied gradient style – the color intensifies from a light tint to a deep colored shade. Fans come pre-folded with matching paper overlays that act as stands. 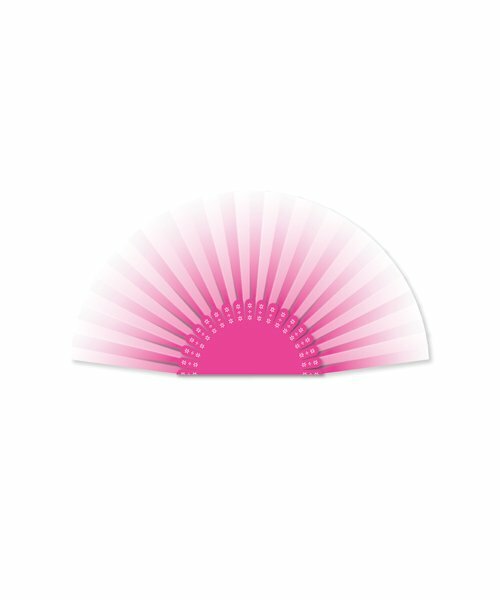 Use these colorful fans to direct guests to their seats, or use them as creative labels for your buffet line. Place cards are shipped flat, some minor assembly required.